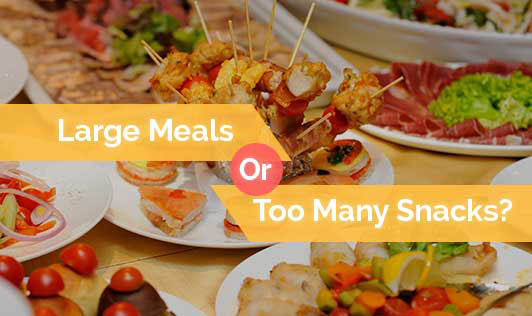 Large Meals Or Too Many Snacks? Are you overweight? Is it because you eat large meals or because you eat too many snacks? Or perhaps both ? Not all overweight and obese people eat large meals at one go. A small study done in the USA, showed that overweight persons had more desire to eat in excess than their lean counterparts. However they did not necessarily eat more at one meal even when they were told to eat as much as they like. But their snacking might be much more than the lean persons. Excess snacking is associated with increased energy intake and weight gain. So, watch what and how much you eat not only during your mealtimes but also between meals. Make wholesome nutritional foods like fruits, nuts and Nutribic Digestive biscuits a part of your midmeal snacks.